LogMeIn Hamachi is a well known Virtual Network Application that lets you create, connect and manage virtual networks. This application lets you connect computers over the internet using secure medium. You can easily extend your LAN-like network and can better collaborate with your team members. You can provide your team members access to any system on your network without modifying any firewall rule or allowing any IPs etc. You can successfully restrict computer’s access with this application. It is a highly secure application and uses same encryption methods and algorithms as used by different world class banks. You can troubleshoot issues with your computer systems using this utility. Even if your computer is powered off, you can still access its console and perform power on, reset or power cycle operations. 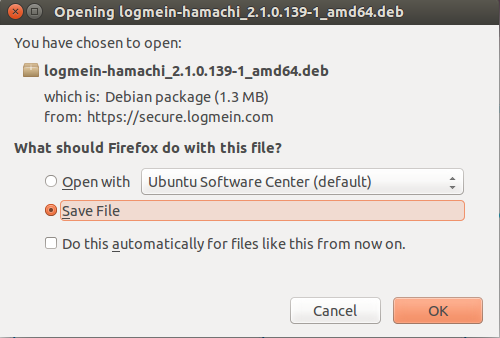 Let’s see how we can install LogMeIn Hamachi desktop application in Ubuntu. This tool is available for Linux, Windows and Mac operating systems. First of all download its Linux version from following URL. Once the download process is complete, launch your system terminal and run following command to install this application. If you find any dependency related errors, simply run following command and it will take care of all related packages installation. 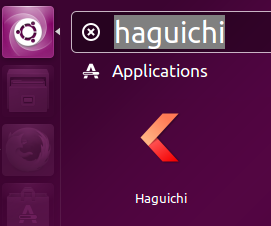 Once the installation is over, launch LogMeIn Hamachi from Applications menu. There you go, start using this tool to manage your virtual network infrastructure. LogMeIn Hamachi is a popular tool for Virtual Network Computing. LogMeIn company is known to build world class and stable applications for such purposes. Try it out today, do let us know in comments about your feedback about this tool.